When we are not fixing windows, we are replacing them with the highest quality products on the residential and commercial market. Replacement windows can be manufactured with all vinyl versions as well as wood with aluminum clad and commercial grade thermally improved aluminum windows. All of which are available from the best known manufacturers throughout the country and are outfitted with the highest quality hardware, grid layout of your choice, and of course the latest performance glass options. Any replacement window provided by Beckett Glass & Aluminum is produced specifically to fit your opening sizes and equipped with your selected performance and aesthetic options. 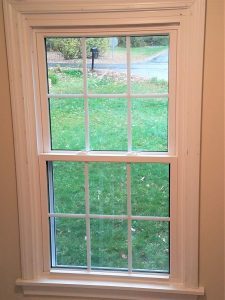 Like much of what we do, our replacement windows are a custom product, and never pulled off a shelf as a “close enough standard”.